Marcin Sobieszek, Partner in ATA TAX, gave a lecture about the tax system in Poland at the conference of association of independent accountants and advisors PrimeGlobal. The conference took place from 28 to 30 May 2015 in Hamburg and gathered dozens of specialists of consulting firms, mainly from Germany and Austria, who are members of the association. The conference was dedicated primarily to issues of VAT in Europe. Marcin Sobieszek presented the main elements of the tax system in Poland. He raised the issue of business taxation, transfer pricing and investment allowances on the example of the Special Economic Zones. 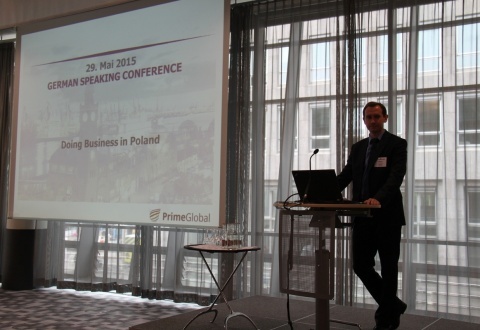 You are encouraged to review the presentation "Doing Business in Polen" under this link.